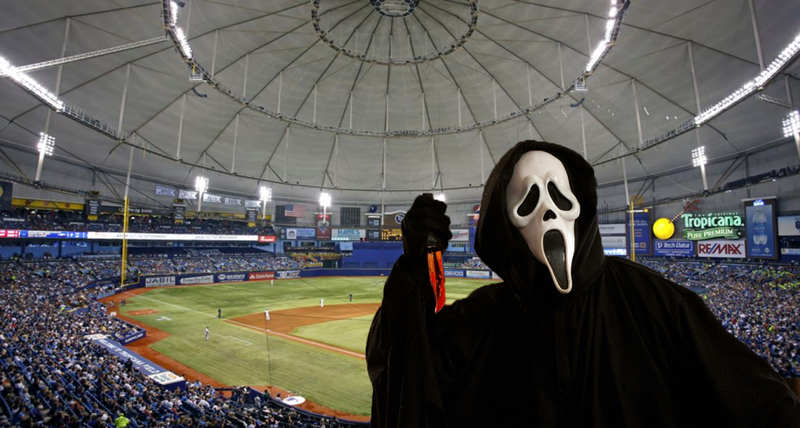 Yes, that's the Trop. Fitting, right? It feels like we're seeing Tampa for the 40th time in the past month or so, thanks to the unbalanced schedule. We've also seen Ryne Stanek and Tyler Glasnow (tonight's starter) about 17 times each by now, too. 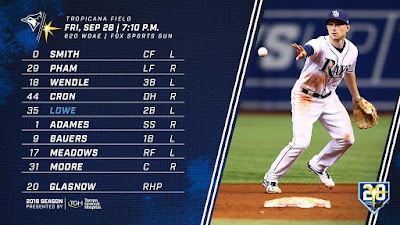 In the final series of the 2018 season for the Blue Jays, the team looks to end the season on a good note and send Gibby off into the sunset with a well-deserved 1-year severance contract. Even though it's against Tampa, a team that practices voodoo on the Jays, anything could happen in this series with neither team having anything to play for. Thomas Pannone looks to wrap up a fine rookie season in style by taking the ball tonight for the Jays. He goes up against the big guy, Tyler Glasnow, in a rematch from last Saturday, which Pannone won by a 5-2 score. The Gibby farewell tour continues with this being his final series as Blue Jays manager. There's been dozens of twitter postings, GIFs, commentary and whatnot in the most recent game recap thread, so I'll save the type space here and you can just click on "Older Post" at the bottom if you're so inclined to catch up on what's been said about Gibby. Wednesday's win clinched a career winning record for Gibbons (792-787), who said, "I didn't want to end below .500. Then they'd call you a loser." Spoken like a true Gibbyism. 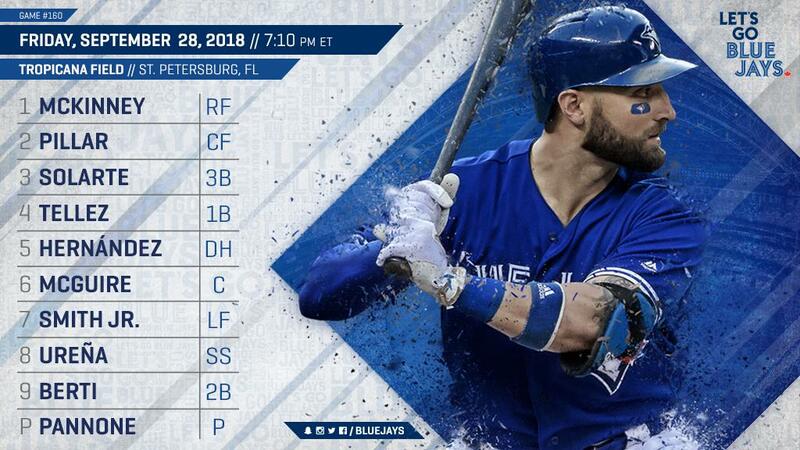 Not much else new with the Jays with the season winding down and no more young'uns to call up (Jon Berti is likely the last one to come up). Ken Giles has the longest streak of converted saves in MLB, 30 straight dating back to 2017. Let's keep it up into 2019 and beyond. This is your "end it in style for Gibby" game thread.